I found this blouse in a flea market about a week ago, and I completely adore it. Even though it was labeled 1930s on the tag, I think it's from the 1910s. I love the delicate, feminine details of Edwardian garments like this. 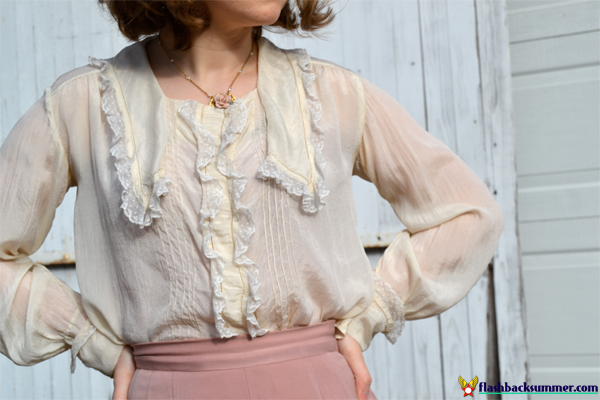 This blouse is even made of the softest, floatiest silk and trimmed with pretty lace, and that makes it even better! I need to repair a couple spots I discovered, so it's getting added to the mend pile before I wear it again! Oh vintage and the ever-present mend pile. P.S. Pardon the skirt wrinkles! This is how it looked after sitting at a desk all day. I DO iron my clothes. Oh I love this outfit! 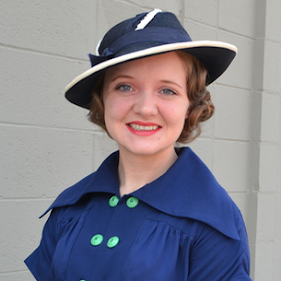 The blouse, the hat, the coat, the brooch... so lovely. So sweet! I love this ensemble! Very nice! The brooch is really neat and the coat adds a nice color as well. Its amazing the shirt is in such wonderful shape so long from its origin! I love this look! It's fabulous. This is very pretty. Although I like leather jackets occasionally and leggings now and then, I don't really like the androgynous look that is all the rage in the fashion magazines right now. I wish there were more blouses like this easily available. 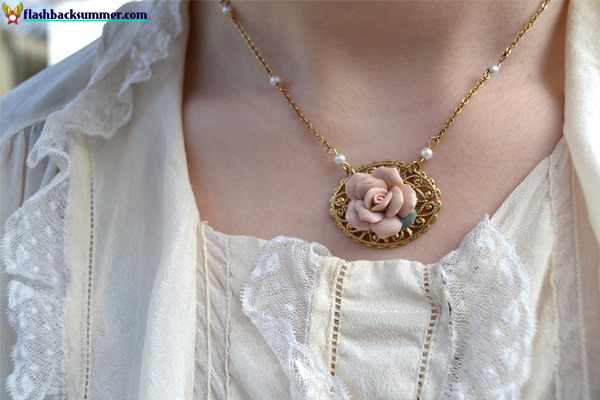 The necklace is perfect with the blouse and skirt too. Everything about this outfit is so incredibly pretty. 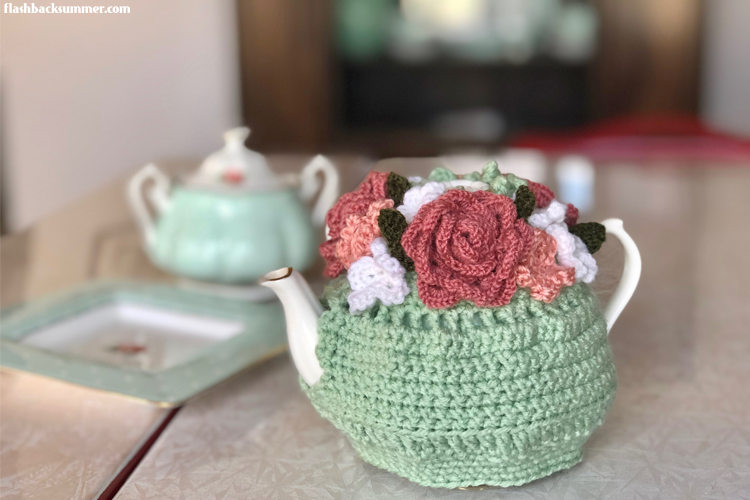 I feel like this is the first spring look I've seen on a vintage blog this year and you've bolstered my excitement for the season's return (in a couple months more still here) all the more. Seriously, Em, I adore this outfit and how you've accessorized it. I am dying over here! Your outfit is positively splendid! The colors look so great on you, and the finishing touch of that novelty carousel brooch? Perfect! The colors of this outfit are really wonderful! I did leave a comment on your FB page about the blouse. Really enjoying the close up photos here. It's very similar to a silk blouse I own. Mine is lacking the lace trim but it has the same kind of collar and cuffs. Seeing the lace on this one makes me think 19teens or very early 20s for sure. Great find! 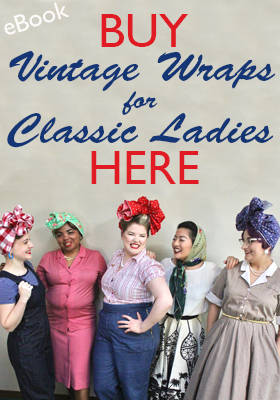 who cares from which exact era it is - you did a perfect job mixing it with lovely pieces from the first 50 years of the past century. what a stunning outfit! Lovely outfit. 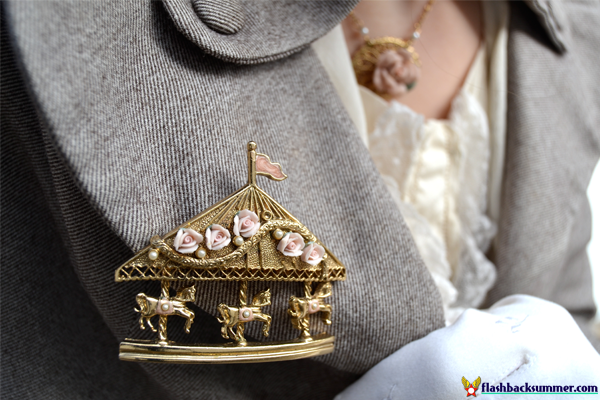 The carousel brooch is particularly a great addition! You look like such a proper Edwardian lady! Well, all that ankle you're flashing might be a little scandalous for the times, but nonetheless. 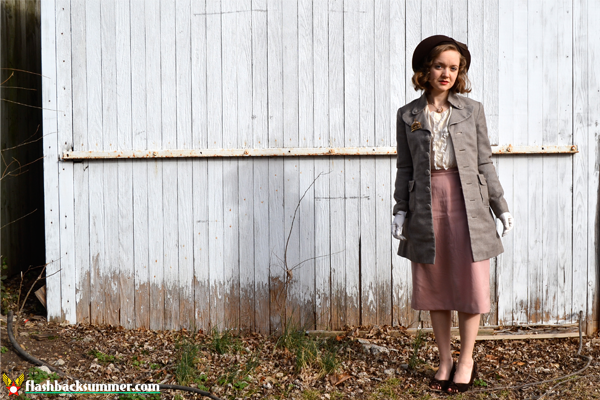 That blouse is an amazing find, and I love the pink and gray pairing with it, as well as the very sweet brooch. This whole outfit is just working like gangbusters. Hi dear! I'm so glad I finally made it over to your blog! This outfit is wonderful!! The hat is feeding my current 30's obsession. Fabulous! 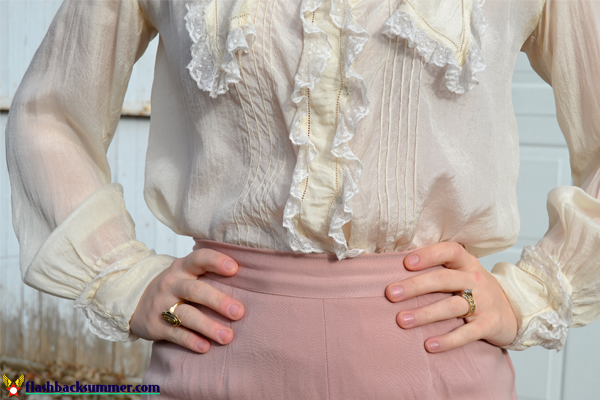 I love this outfit, it's a great mix of feminine colors and modern sensibility. P.S I have the same brooch, bought at an antique store last year. This is DARLING! And I totally get what you mean about much of the looks today, there is a hard edge quality about much of the fashion available today. Although sometimes I find myself lost with current trends because one month it appears that florals and pastels are in, then the next neon and black! It's an ever revolving door. What an amazing find! Beautiful to boot. I love so much here! That shade of pink is one of my favourites too; I would never have thought a blouse from that era could be so wearable in such a classic look; the whole outfit comes together perfectly; that brooch is probably the coolest I've ever seen! ohh this is so lovely and I love how you brought the blouse together with all your other accessories. Fantastic find! Lovely colours, you look like a rose. Which is a good thing obviously. The carousel brooch made me gasp, it is gorgeous! What a pretty outfit! 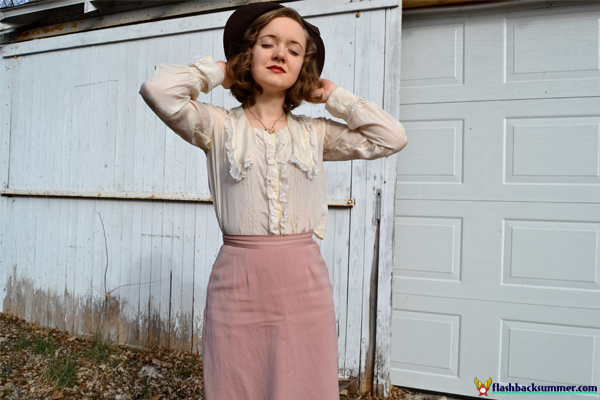 I can't believe the blouse is in such great condition... Beautiful! Oh that brooch is adorable! !